After making bit research, thought to find some good e rickshaw companies who are deliberately serving nation with eco friendly rickshaws. With the introduction of e-rickshaws in 2011, the urban population of India has got a low-cost mobility option. In terms of purchasing and operating cost, e-rickshaws in India are pretty cheaper than their counterpart, auto rickshaws. If you’re planning to buy these battery operated vehicles to increase your earnings in an eco-friendly way, consider these renowned manufacturers. Jezza Motors has combined state-of-the-art technology and high grade parts to give its passengers a comfortable journey. To efficiently meet the diverse needs of their clients, they also offer tailor-made rickshaws at reasonable prices. Numerous quality inspection is carried out by their professionals so as to check the products’ quality on different parameters. When it comes to performance and productivity, Electeca can give a tough competition to its rivals. All the three types of its battery rickshaws are engineered to world-class standards and are in compliance with the new CMVR guidelines. The manufacturer of the company is well-known among its customers for making robust rickshaws ensuring the passengers’ safety. The comprehensive range of battery vehicles manufactured by Rayon Engineers is sure to satisfy your wants. Apart from selling e rickshaws, they also sell spare parts at pocket-friendly prices. Their e-rickshaws can cut down your overall petrol expenses on vehicles to 30%. By working with the objective of giving utmost priority to the passengers’ safety, Nanya Airconn has established a stronghold as a supplier of battery rickshaws. As it imports quality products from the region of South-East Asian countries, the buyer need not to be worried about its efficiency. If you purchase battery rickshaws from Indo Wagen, you won’t have to spend much money and time on its maintenance. Without compromising with the quality of the products, their professionals aim to deliver ICAT certified e-rickshaws that are non-polluting and make journey quicker and safer. 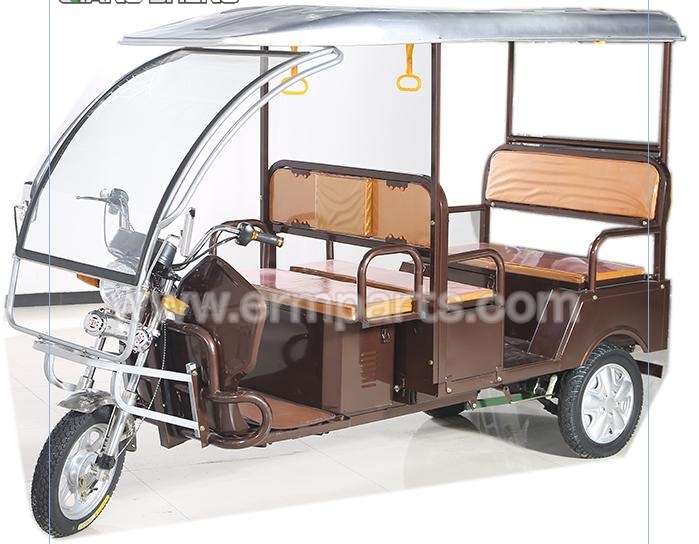 One of the eminent manufacturers of e-rickshaws in India is Ceeon India. Driven by their innovative approach and cutting-edge technology, the company has emerged as a brand providing battery rickshaws having high rates of efficiency. Plus, their products call for negligible maintenance. The experts of Mac Auto India are engaged in delivering premium quality battery vehicles. Some of the kinds of battery rickshaws that the company manufacture are Cargo E-rickshaw, Passenger E-rickshaw, and School E-rickshaw. If you’re baffled about which one to pick, then avail their professional consultancy facility. Being a reputed organization involved in manufacturing efficient and wide range of battery vehicles, Soni E-rickshaw provides products ensuring optimal power output of 1220 to 1240 watt. Plus in comparison to other normal rickshaws, the seating arrangement of these rickshaws is spacious. The elegant and decent looks of Vidhyut rickshaws are one of the reasons behind the increasing popularity of the company. These vehicles come with a cover in the back area to protect the passengers from any kind of mishap. To reach huge customers, they are offering financial subsidy under the scheme known as FAME scheme. Green Wheels Auto takes in manufacturing of battery vehicles not only as a means to enhance their income but also to make the environment clean by preventing pollution. All of their rickshaws have 1 year warranty. By selling genuine spare parts of the battery-operated vehicles, they have strengthened their clientele base. Terra Motors is the renowned battery vehicles manufacturing company that has dominated the market with its elegant product design with most advanced features as compare to other companies. Genuine spare parts and easy availability has made it country’s best battery manufacturing vehicle. Catering the north east part of India, Nezone has captured a huge market with impressive sale figure in 2016. With a wide range of product and easy accessibility, company is spreading towards South opening their centers in Tamil Nadu. This company was founded in 2008 and have launched 2 wheeler and 3 wheeler battery vehicles. They are progressing and have launched 3 wheeler diesel vehicle. Being associated with SIAM (Society of Indian Automobile Manufacturers) and are the founder member of SMEV (Society of Manufacturers of Electric Vehicles). Lohia Auto is growing and has became the leader in electric vehicle in Central India. Leading the electric mobility in India, Speedways electric is pioneer in the manufacturing of Golf Carts and Electric Vehicles. The company is known for the widest range of electric vehicles and for the development of new products. Though all of the above-cited companies supply quality vehicles, yet you’re advised to go through the website of the manufacturer before taking the final decision. If you want to buy electric rickshaw from China directly, you can contact Qiangsheng Electric Tricycle Factory. They can offer electric rickshaw and e rickshaw spare parts both.